According to Forbes, Chris Larsen is the richest cryptocurrency co-founder in the world. For a brief period at the start of 2018, Chris overtook Facebook CEO; Mark Zuckerberg as the 5th richest person on the planet. 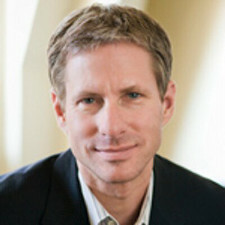 Chris Larsen is a serial entrepreneur especially having co-founded a number of technology start-up companies. He has been active for more than 20 years in the technology industry as an Angel Investor and a Business Executive with a portfolio of several successful enterprises within his career. Apart from his role in executive positions, Larsen is also an advisor/board member for a number of enterprises like Qifang, Betable, and the Electronic Privacy Information Center (EPIC). Chris Larsen was born in the year 1960 in the city of San Francisco, California on the West Coast of the United States. His father was an Aeromechanical technician for United Airlines at the San Francisco International Airport (SFO). His mother was a freelance illustrator. In 1984, Larsen graduated from the San Francisco State University with a degree in International Business and Accounting. For his post-graduate studies, he attended the Stanford Graduate School of Business where he graduated with an M.B.A in the year 1991. Immediately after graduating from San Francisco State, he began his professional journey, starting out his career with the oil giant, Chevron. He was in charge of performing financial audits for the company’s operations in Asia and South America with a specific focus on Indonesia, Brazil, and Ecuador. It was during this period that Chris made the decision to go back to school and get a post-graduate degree. In 1996, Chris and Janina Pawlowski co-founded E-Loan; one of the first online mortgage lending service providers in America. At the time of establishing E-Loan, the idea of providing a service that enabled borrowers to access loans directly without the need for brokers was unheard of. Both Chris and Janina were reportedly motivated by their shared dislike for the high fees and commissions that were the order of the day in the mortgage lending industry.So, they decided to establish their own firm that would sue the growing power of the Internet at that time to remove the high fees associated with mortgage lending. Chris and Janina first met when they were colleagues at a Palo Alto-based mortgage lending firm in the early 90s. They soon became friends and in 1992, decided to quit their jobs to establish E-Loan. They reportedly raised $450,000 and opened a small office in Dublin, California. E-Loan began full operations the following year and by 1998 both Larsen and Pawlowski decided to trade places within the company. Larsen became CEO, while Pawlowski took over from Larsen as President of the company. The move was brought about as a consequence of the difficult times the company had been facing since the start of the year. By the third quarter of that year, while in negotiations with Intuit over a potential $130 Million buyout that would essentially dilute both Larsen’s and Pawlowski’s control over E-Loan, Yahoo made a counteroffer. Despite being significantly lower than Intuit’s, the deal went through because both Larsen and Pawlowski still retained significant control over E-Loan. This was the beginning of a renaissance for the company and by the following year, it had a successful IPO. By the start of the new millennium, E-Loan had an estimated market value of $1 Billion. At this point, Larsen was both Chairman and CEO of the company. He served in this capacity until 2005 when he stepped down as CEO but still remained the Chairman until the company was acquired by Banco Popular later that year. Larsen’s next project after E-Loan was Prosper Marketplace which he co-founded with John Witchel. Based also in San Francisco, the company offered peer-to-peer lending marketplace services. Just like E-Loan, it was the first of its kind in the United States and it also eliminated the need for the proverbial middleman with lenders and borrowers interacting directly on the platform. By 2008, the company was already starting to gain recognition. Fast Company named Prosper Marketplace as one of the 50 most innovative companies of the year. More than $100 Million in loans had been executed by the platform. Due to some run-ins with the SEC, the company had to slightly adjust its operating model from variable rates to a pre-set rate system. During this period, the company attracted a great deal of investment from notable figures like Tim Draper, Nigel Morris, and Jim Breyer. Larsen stepped down as CEO in March of 2012. Chris Larsen had so far remained consistent in his determination to remove the financial intermediary hierarchy that constitutes a great deal of the cost of doing transactions. Both E-Loan and Prosper marketplace embody that very desire. After years in the mortgage lending market, Chris Larsen set his sights on another financial market that had become bogged down by high transaction fees; the payment processing market. Despite occupying the most basic tier in mainstream commerce, the payment system had become difficult to navigate by ordinary participants and small-scale enterprises. 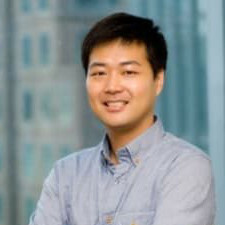 In September of 2012, after leaving his post as CEO of Prosper marketplace, he co-founded OpenCoin. The company began developing the Ripple payment protocol which built on the work previously done by Ryan Fugger. Ripple was being designed to be a platform that would enable almost instantaneous transfers at minimal transaction fees. A year after its establishment, OpenCoin was rechristened to Ripple Labs Inc. 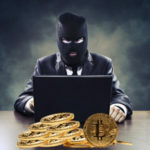 The company then announced that it would be launching the source code for the Ripple payment protocol. XRP which is the native digital currency of the Ripple network has gone on to become one of the most valuable cryptocurrencies in terms of market capitalization. It has consistently remained within the top 10 cryptocurrencies on the market. Ripple has also enjoyed a great deal of support and adoption from banks and other financial institutions. The majority consensus is that Ripple offers a better operating framework that is more in line with financial best practices than most of the other cryptocurrencies. 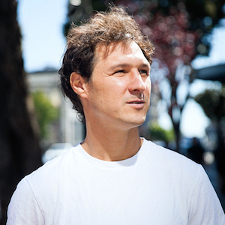 Chris Larsen runs a scholarship fund at his alma mater, San Francisco State and the school even bestowed him the honor of Alum of the Year in 2004. He is a firm proponent of the financial privacy in California movement. He famously supported a bill in 2003 that protected consumer privacy rights in the State of California.